Mushky Feldman moved to Reykjavík, Iceland, last year to establish Chabad-Lubavitch of Iceland with her husband, Rabbi Avi Feldman. In recent decades, Iceland has become an increasingly popular tourist destination and is also home to a small Jewish community. Feldman had high hopes for the Jewish home-away-from-home she hoped to set up in the capital city of Reykjavík, but wasn’t sure what would materialize. 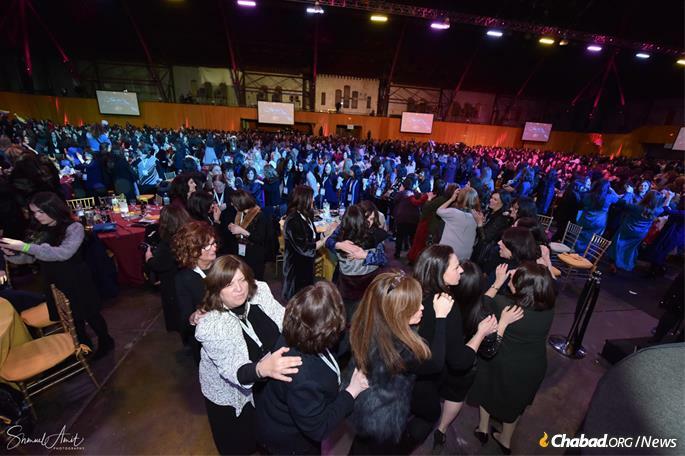 Nine months later, sitting at a table at the International Conference of Chabad-Lubavitch Women Emissaries (Kinus Hashluchos) at the New York State Armory in the Williamsburg section of Brooklyn, N.Y., together with 3,000 other women emissaries and lay leaders from 100 countries with Chabad presences, she enthusiastically shares what she has experienced since moving to the North Atlantic island. Over the summer, Feldman says, they served literally thousands of fresh, kosher meals to Jewish tourists who have been showing up in steady streams. The local community, too, has come out of the woodwork to participate in Jewish life. The summer season saw an average of 80 people at Shabbat-morning services and some 120 at the kiddush that follows. An American couple, who first met during Shabbat at the Chabad of Iceland, recently got engaged. Local activities have grown as well, and Feldman says that in addition to her biweekly women’s classes and children’s programs, she’s seeing great interest in a Jewish preschool and will turn her efforts to that in the near future. At the women’s conference, she’s able to meet up with friends, family and colleagues to plan her next step when she returns to Reykjavík. In one way or the other, Feldman’s story is echoed by each of the woman leaders at the conference of shluchos: Each left home and hearth to serve a Jewish community, many in faraway places; each went with dreams and hopes for the home they’d build, each not knowing what the future would bring. Gathered together in New York, these women take time to step back and reflect on their past journey and their crucial role in the communities they and their husbands serve, as well as renew their commitment to the work at hand. 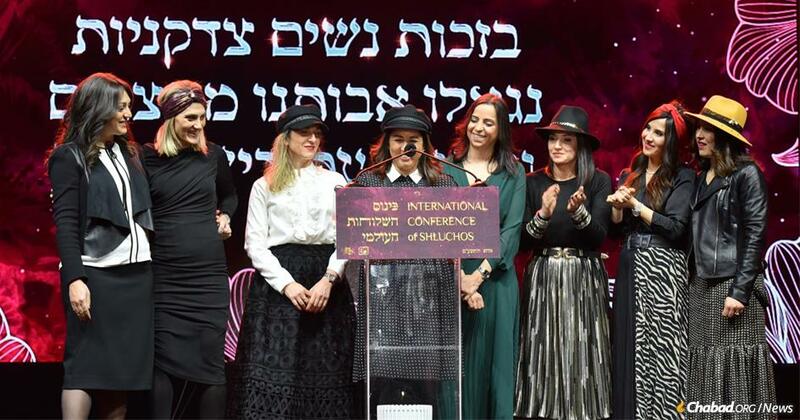 The women’s conference, in its 28th year, takes place around the 22nd of the Hebrew month of Shevat, the yahrzeit of the Rebbetzin Chaya Mushka Schneerson, of righteous memory, the wife of the Rebbe—Rabbi Menachem M. Schneerson, of righteous memory. 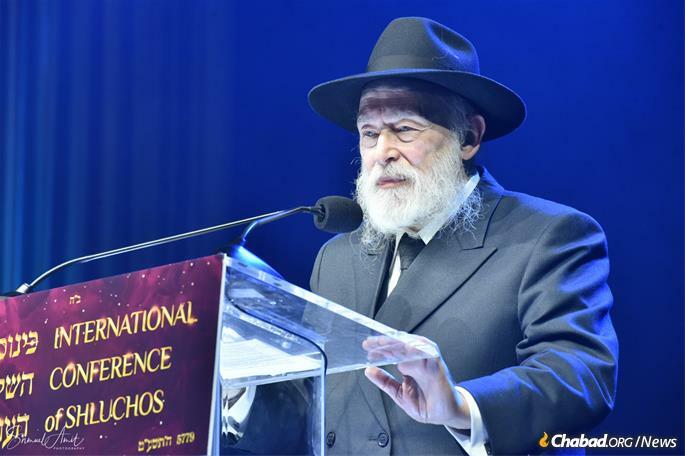 As the thousands gathered in the room heard, the Rebbetzin was a noble, behind-the-scenes woman who played an essential role in the work of her husband, the Rebbe. 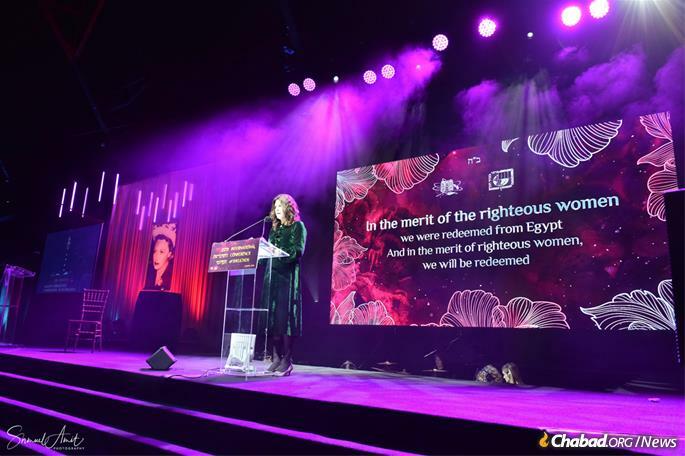 The theme of the evening was “Righteous Women: Past and Present,” connecting the day-to-day work of the Chabad emissaries to the heroism of their mothers and grandmothers in the past. Devorah Alevsky, co-director of Chabad of Greater Cleveland since 1972, spoke of her maternal grandmother, Maryasha Garelik, whose husband was arrested and shot in Stalinist Russia in the late 1930s, and her paternal grandmother, Sarah Katzenelenbogen, whose husband suffered the same fate and who herself died in Soviet imprisonment in 1952. 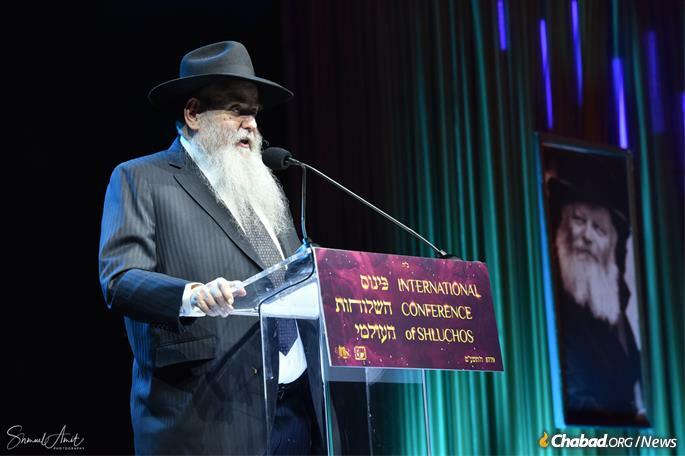 Rabbi Moshe Kotlarsky, vice chairman of Merkos L’Inyonei Chinuch, spoke after Alevsky on the selfless nature of women emissaries who serve Jewish families and individuals throughout the world, saying shlichus is associated with various forms of chesed, of kindness and benevolence of a different sort than commonly seen. Trying to bridge the world outside and the home she was creating for her children, Wilhelm explained that she realized that her first mission was to make sure her family was being cared for in the best way possible and expanding from there. While Feldman spoke of nascent Jewish life in Iceland, her aunt, Rochel Loewenthal, co-director of Chabad of Denmark, has been living in Copenhagen for the last 22 years. She comes for same reason her colleagues do: to get inspired and reinvigorated. Her community, however, has not been without its challenges. A recent attempt to ban brit milah (circumcision) fell apart in August of last year, but that does not mean the danger to this age-old cornerstone of Jewish life is over. Denmark is one of a number of European countries to have outlawed shechita—kosher ritual slaughter—with Belgium being the latest to enact such laws, and Loewenthal says there are fears that the importation of kosher meat may be next. As Danish Jews recognize the obstacles facing them, she says, she sees her and her husband’s role to share the beauty all aspects of their heritage. Namdar, Feldman’s mother in Gothenburg, sees a silver lining in the current climate in Sweden, similar to what Loewenthal describes. 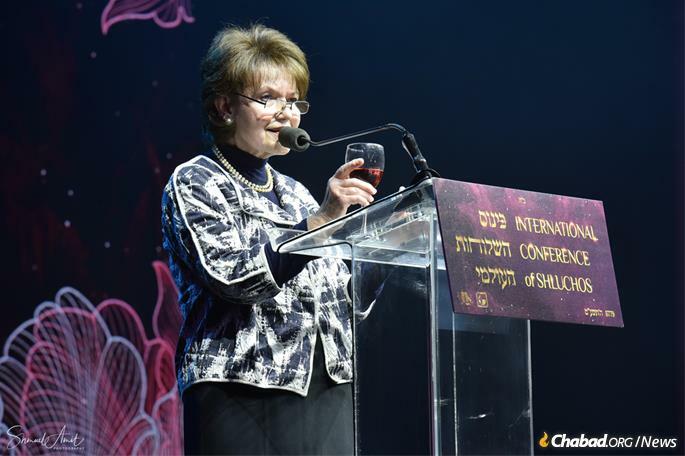 Namdar and her husband, Rabbi Alexander Namdar, were formally appointed to their position in the winter of 1991, just as the very first women’s conference was underway. She recalls how a few moments after hanging up the phone she got another call, this one from the Rebbe’s secretariat, inviting her to join the ongoing conference right away. 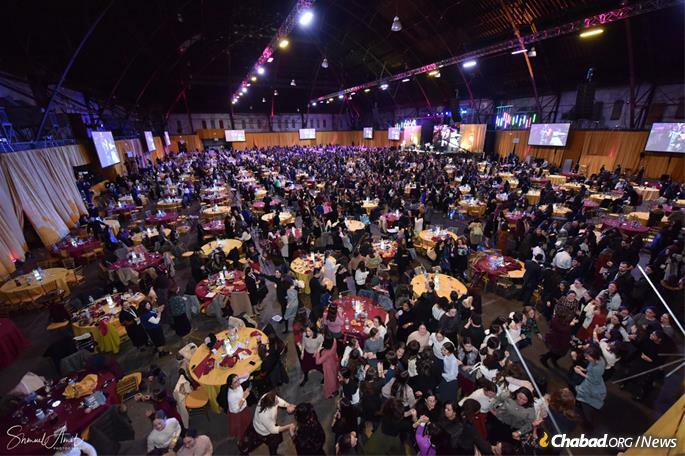 At the conclusion of that Shabbat, she attended the women’s melaveh malkah gathering at a much smaller hall in the neighborhood of Crown Heights, N.Y.—the yearly gathering has far outgrown that venue—and the next day was privileged to be among the women when the Rebbe specially addressed them. 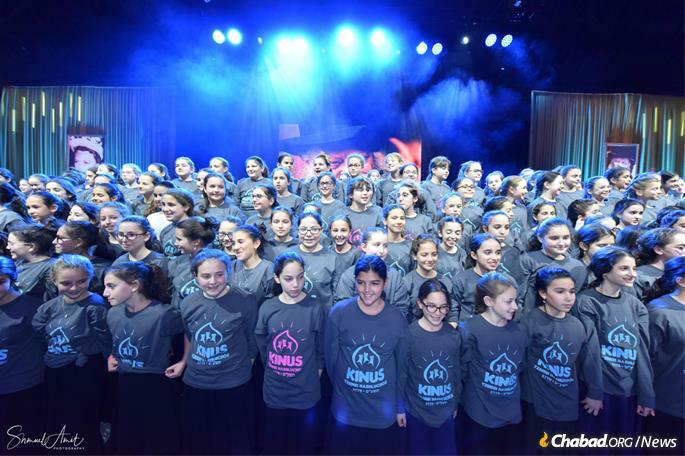 “The women’s Kinus was something very visibly dear to the Rebbe,” she says, thinking of that day nearly three decades ago. 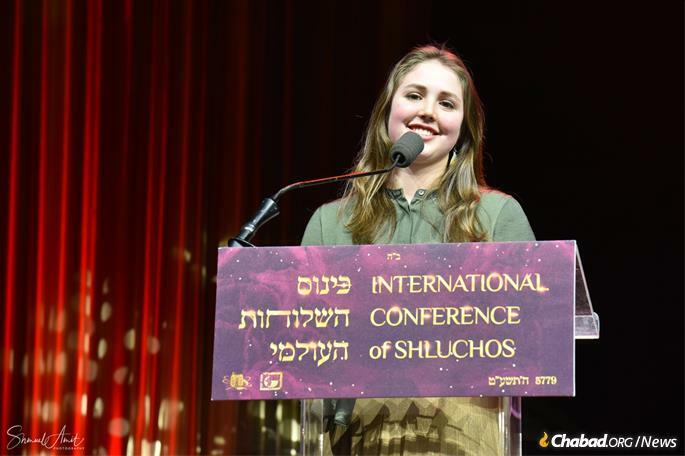 Another conference attendee, Chani Friedman, serves as a Chabad emissary in the center of the Israeli seaside city of Ashdod. Friedman grew up in Ashdod, her parents having been sent by the Rebbe to found Chabad in the city in 1976, and she and her husband, Rabbi Yosef Friedman, joined them in 2003. The city has changed since she was a young girl, and in addition to native-born Israelis and Moroccan immigrants has over the years become home to Jews from Russia and Georgia in the 1990s, and in the last decade or so, from France as well. More than any of the other groups, French Jews have settled in Ashdod to escape the uncomfortable atmosphere they felt in Western Europe. There is a large Jewish infrastructure in France, and many of the families that arrived in Ashdod missed the communities they left behind. Friedman and her husband work to offer them an atmosphere they are familiar with, even bringing a French-speaking couple, Rabbi Yitzchak and Chana Benisti, to focus especially on them. “We help them with the bureaucracy, getting their children into school, Hebrew tutors—everything we can to help orient them in Israel,” she says. At every conference, recognition is held for women emissaries who passed away during the year. In 5778-79, that included Devorah Groner of Melbourne, Australia; Chaya Zelda Kramer of Montreal, Canada; Atara Guaz of Romainville, France; and Esther Sojcher of Boulogne Billancourt, France. 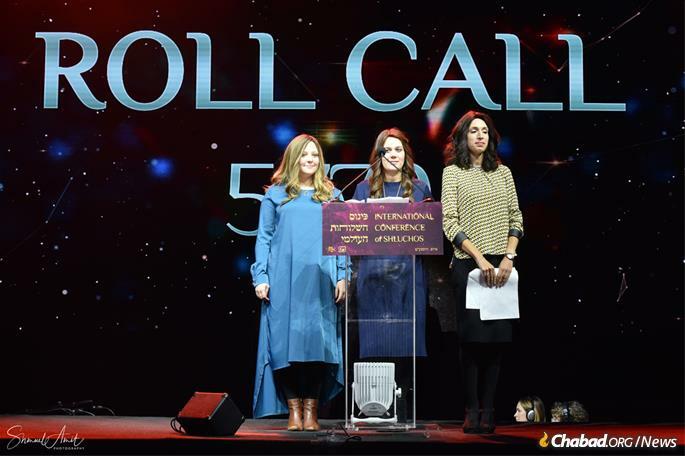 Another tradition is the annual roll call of locales around the world where Chabad emissaries serve, a literal geography lesson from A to Z. It was read aloud starting with a rather lofty entity—Chabad of cyberspace—and then proceeded to name countries that started with Angola and continued through Zanzibar. 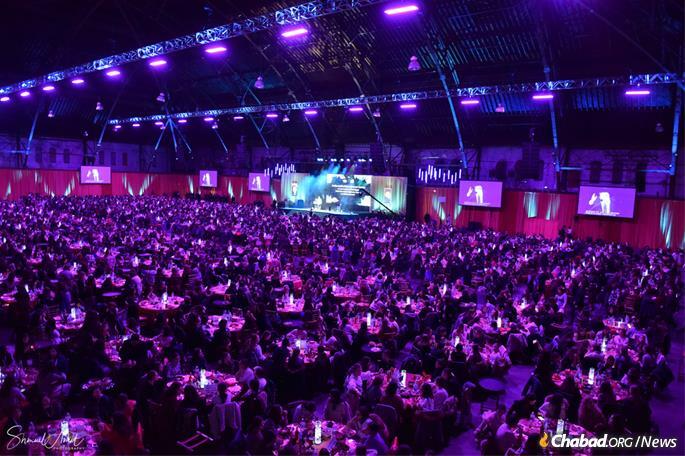 Among other speakers on the dais of the cavernous Armory was Shoshy Weber, from Dnipro, Ukraine, who co-directs the Kollel Torah program in the former Soviet Union; Dvorah Lea Raichman of Chabad of Manaus, in the Amazon, Brazil; and Chaya Mushka Rivkin, the daughter of Chabad emissaries on the campus of Tulane University in New Orleans. In his address to the women, Rabbi Krinsky noted that the 90th wedding anniversary of the Rebbe and Rebbetzin was celebrated a few weeks ago. He recalled another “90”—how, just before the Rebbe’s 90th birthday in 1992, reporters were beating a path to Crown Heights hoping to cover the momentous occasion. At that time, the Rebbe would stand for hours each Sunday distributing dollars to thousands of people from all walks of life who wished to greet him, request advice or ask for a blessing, and it was not uncommon for journalists to join in the line for interview purposes. During the last week of February 1992, a Canadian journalist did just that, and when his turn came asked the Rebbe about the significance of 90. The next Sunday, March 2, was the last time the Rebbe gave out dollars, recalled Krinsky.